Finding the right garden fence might seem a little daunting at first, but don’t worry; we’ve got three tips to help you get started. Do you wish for a fanciful fence to accent your flower garden or are you in need of a practical barrier to keep critters from feasting on your prize peppers? Perhaps you could address both features with a pretty fence that looks great with your cottage garden flowers, yet keeps veggie plants safe from grazing animals? Think about the material that might suit your needs and decor preferences. Do you like the look and versatility of wood? The durability of wrought iron? Wood fencing designs can be shaped to fit the lay of your lawn. They can be built to blend with your home’s architecture, whether your house is modern in style or from former a era. Treated wood lasts well. A variety of types are available, as well as stains to suit your taste. Wood fencing preserves privacy and creates a protected refuge for your plants. Modern, specially coated wrought iron fence is very enduring. A wide variety of detailed styles are available. Designs and heights can be adjusted to home owner requirements. This type of fence protects against large animal intrusion, yet preserves views. It blends well with most historic architecture. At Philip’s Fences, we are specialists in these traditional materials. It’s best to find a reputable fencing contractor to help you estimate construction costs. Remember to consider the value of quality materials and knowledgeable, efficient service. At Philip’s Fences, we are specialists in sturdy, attractive, wood and metal fencing. Please contact us for design decisions and cost estimates. We’ll be happy to help. A fence can be more than a barrier or even a work of artistry. It can be a basis for other creative projects. Many innovative gardeners have used fences as trellises to support plants, hanging places for pots, or as a canvas for an outdoor mural. Like the idea of wooden fencing? See some inspiring wooden garden fence designs from HGTV. Like the look of metal? The HGTV site offers wrought iron garden fencing ideas too! 1. It’s important to power or pressure wash the wood every so often. 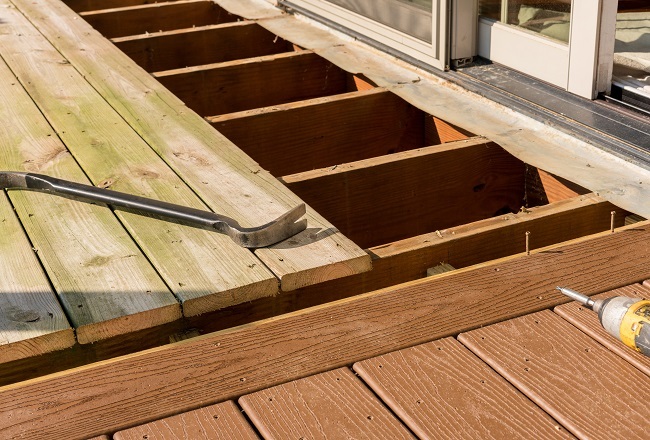 The first step to resealing your deck is to wash the surface clean. This is an important step because it means the new stain won’t stick just to dirt or a layer of vegetation. 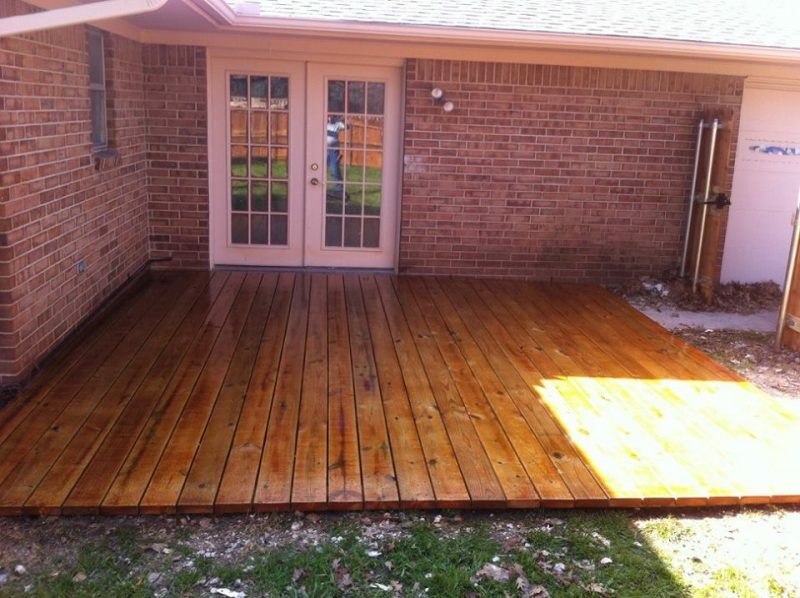 But washing your deck with high pressure or high-temperature water is also good for the wood itself. Microorganisms, pests, and moss can start to break down the surface. Deep cleaning the wood removes embedded root systems and flushes out infestations. Even treated lumber needs a bit of help to keep the elements and bugs at bay. 2. Stain prevents UV radiation damage. Plants and bugs aren’t the only things that can start to damage the wood. Constant exposure to the summer sun can make any material brittle. But stain and sealing chemicals are specially designed to protect the wood from UV radiation. This keeps the wood strong and safe to walk on. Without protection, the wood is susceptible to dry rot. This is dangerous because feet, patio furniture, and even your barbecue can crack through the surface. The stain needs to be removed and replenished every two to three years to ensure complete coverage. 3. Make your deck match the fence. Whether your house is going on the market or you frequently have guests over, there are a few easy ways to make the outside really pop. Making the deck and fence match is a great visual improvement because it makes your yard look more cohesive and makes both wooden features look like new. Go to Philip’s Fences to get started. Patios are a great place to gather with friends and family, especially during the summer months. They’re easily accessible for both young kids and older family members, offering a good space to relax even with no additional structures. As a result, adding a proper deck to part of your patio space can add considerable value to the look and function of your yard. Breaking up a standard concrete patio with a raised deck provides an interesting visual break which can help increase the aesthetic draw and general curb appeal of your home should you ever decide to sell it. 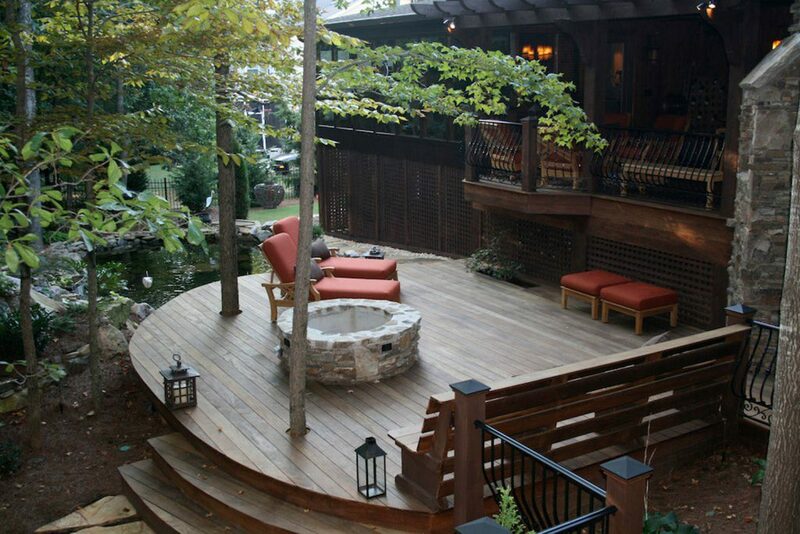 Multi-tier decks add a lot of visual flair to an area, and a similar effect can be achieved with just one well-constructed and well-placed deck. A few small details in the form of railings, board choice, and the occasional curved edge can really up the perceived value of the space as well. While the size and design of a patio deck will have to depend on your budget and the space available, dividing a patio area up and raising part of it with a deck can also provide a separate place for activities and gatherings, which can be a sanity-saver if you have a large family or group of friends. With two levels, it makes it easy to give the adults an area to hang out in without blocking any younger children from view. While any additions to the patio space will depend on both budget and the area available, adding a deck to the mix can be a great way to change up your outdoor space, add visual interest, and maybe build in some added value too. Philip’s Fences offers professional craftsmanship at competitive prices, all unscored by our unmatched commitment to our customers. We guarantee quality for every fence we build so if you’re looking for a fence contractor in Ellis County, TX or in the surrounding area, contact us at Philip’s Fences for an estimate today! Getting a driveway gate installed can sound like a big project, but it can offer a number of benefits. 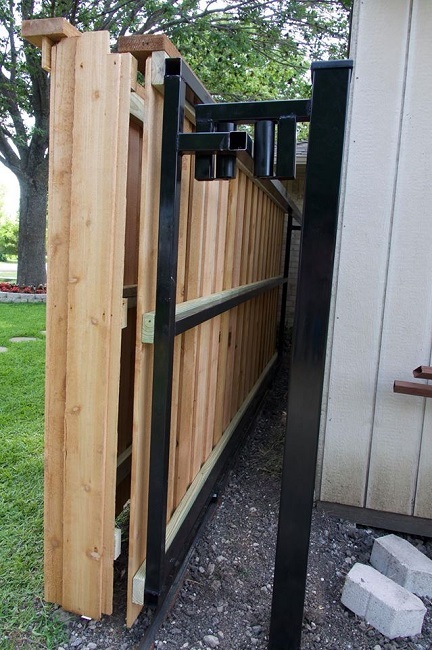 If you’re unsure about whether to get a driveway gate installed or simply want to know more about the benefits, consider the following reasons why a driveway gate can be a must-have for any property owner. Whether your area is busy or not, it’s inevitable that some people will use your driveway to turn around when they want to change directions in a single lane road. This can be frustrating when you’re expecting guests or simply don’t like the light shining from headlights into your home. Whatever the reason may be for why you want more privacy at home, getting a driveway gate installed can help a lot in cutting down the number of people attempting to use your driveway as a place to pull into. Some gates are more solid than others, making them a good choice for blocking out some sound. If you can often hear the noise of cars driving by outside, getting a gate installed can help a lot in making things much quieter. Exploring the benefits that come with getting a driveway gate installed can help you feel much better about the decision to have one installed and the cost involved. 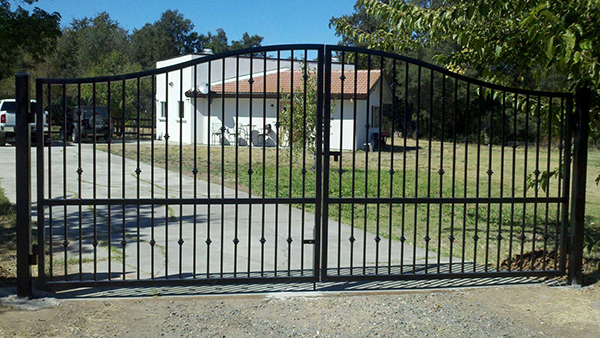 Contact us if you have any concerns over picking out a driveway gate. When you are looking to make an improvement to your home, one great option would be to install a new fence. A new fence can provide a significant amount of style and aesthetic appeal, security, and privacy. When you are looking for a new fence, there are many different options to choose from. 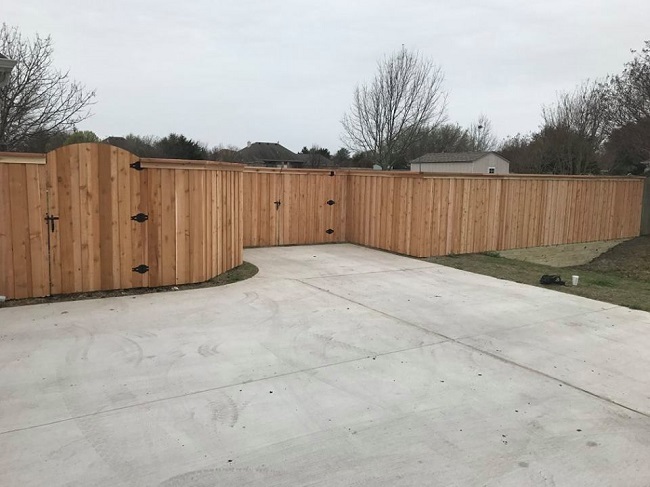 One great option would be to have a cedar fence installed as it will provide you with a number of different benefits compared to other fencing types. One of the main advantages of having a cedar fence installed is that it is a very durable type of wood. Overall, cedar is considered to be more durable than other types of wood used for fences. Furthermore, cedar wood is not as attractive to insects and other pests that can harm the condition and quality of the fence. Overall, this means that your fence will continue to stand strong and look good for a long period of time. 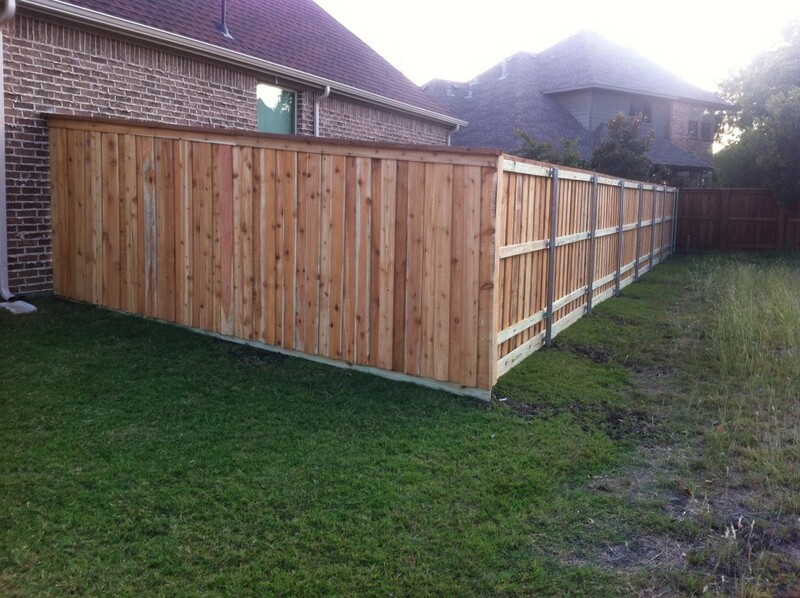 Also, since you will not have to replace the fence as frequently, cedar is a more environmentally friendly option. While the primary purpose of a fence is to provide you with more safety and security, it can also make your home look a lot nicer and more finished. 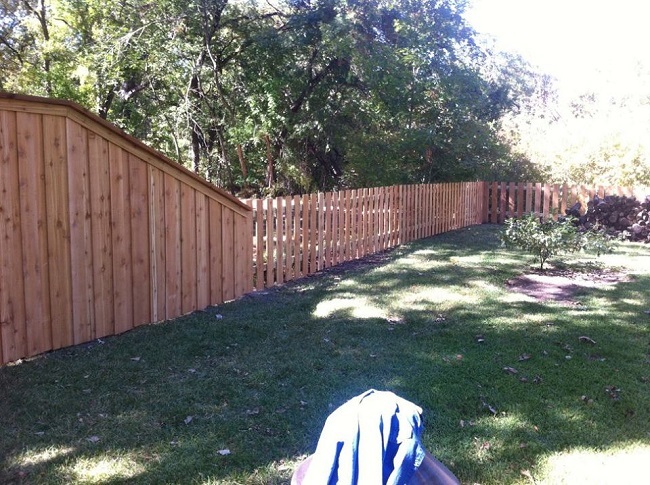 With a cedar fence, you will have a lot of different options for style and coloring. Cedar fences can be cut into customizable sizes to ensure you are able to get the fence height that you want. The cedar wood can also be stained into a variety of different colors and shades to ensure it matches your home appearance. 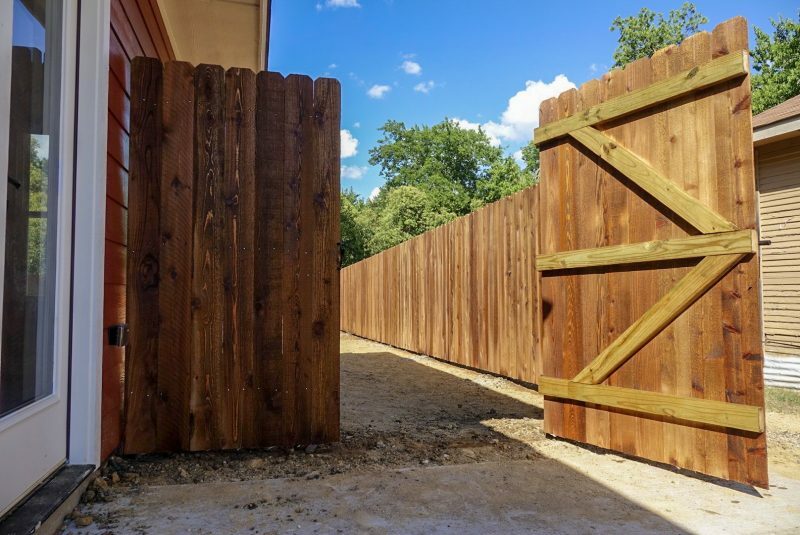 If you are in the market for a new fence, you should contact us immediately to learn more about the benefits of having a cedar fence installed as well as the services that we can provide to you. Broken fences not only look bad, but also don’t provide as much security. If repair work needs to be done on your fence, you’ll want it to be done right the first time. That’s why you should contact a reliable and experienced contractor whenever repair work needs to be done on your fence. 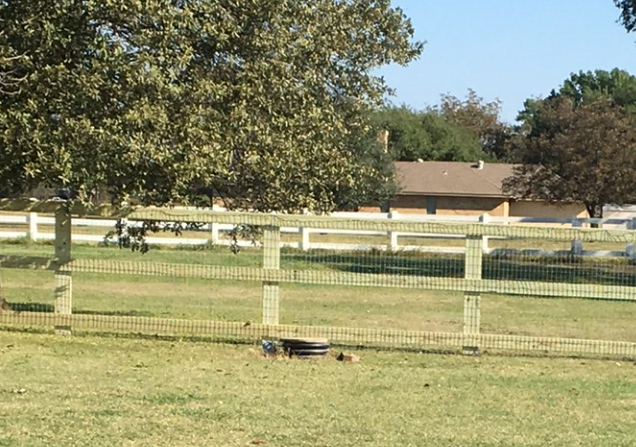 Philip’s Fences has provided valuable services for commercial and residential property owner in and around the Ellis County area in Texas for over one-quarter of a century. Philip’s Fences is operated and owned by a family that cares about the customers they serve. They specialize in installing wood and wrought iron fences. They also build outdoor decks and pergolas, in case you want an outdoor area to enjoy with your family and friends. The experienced team will carefully examine the situation and find the best products to use for the job that needs to be done. The work will be expertly executed and done in an efficient manner. Soon afterwards, your commercial or residential property will appear much better. Your property will also be safer if the repair work that needs to be done involves the fence entry way or open areas along other areas of the fence. If your fence is painted, they can repaint it for you whenever it’s needed. They can also stain your wood fence or add water resistant sealant, to increase the beauty and longevity of your fence. Their experience makes them experts at what they do. The team at Philip’s Fences is willing to answer your questions and give you advice. It’s well worth the time to consult with them whenever repair work needs to be done on your fence. Please contact us, at Philip’s Fences, if you have any questions, or if you’re in need of our services.